The United Nations Educational, Scientific and Cultural Organization (UNESCO) has plans to place Shush, an ancient Iranian city, on the 2015 World Heritage List. The United Nations Educational, Scientific and Cultural Organization (UNESCO) is planning to inscribe the ancient Iranian city of Shush on the 2015 World Heritage List. A delegation of UNESCO experts visited Shush in southern Khuzestan Province a few days ago to register the historical city on the World Heritage List. Director and Representative of the UNESCO Cluster Office in Tehran Esther Laroche and the evaluator at the International Council on Monuments and Sites Gen Tang were among the visitors. Deputy Head of Iran’s Cultural Heritage, Handicrafts and Tourism Organization (ICHHTO) Mohammad Hassan Talebian and the General-Director of Khuzestan Cultural Heritage Afshin Heidari accompanied the delegation during the three-day visit. The UNESCO World Heritage Committee had earlier nominated the city in 2012; however, the site could not enter the final list. 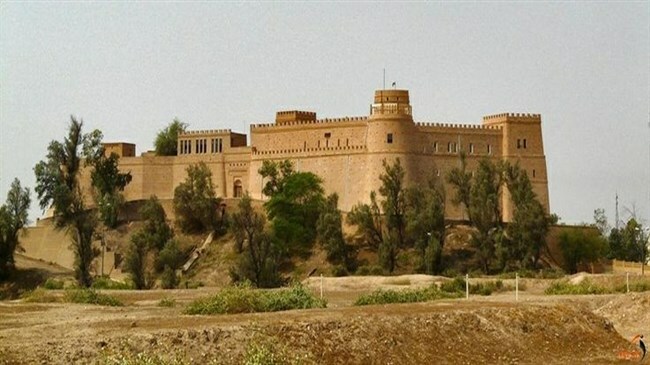 The historical city of Shush, called “Susa” in Old Persian, is one of the oldest-known settlements of the region and the world which covers 400 acres of land. Since about 150 years ago, first a French archeological mission and then Iranian archaeological teams have carried out excavations in the city which led to retrieving artifacts, buildings and objects from various periods, shedding more light on the Elamite history and culture. In December 330 BCE, the Alexander of Macedonia captured Susa and plundered the city, seizing some 40,000 talents of gold and silver from the treasury. Armenian monastic ensembles of Iran, Bam and its cultural landscape, Bisotoun, Naqsh-e Jahan Square, Pasargadae, Persepolis, Sheikh Safi al-din shrine, Shoushtar historical hydraulic system, Soltaniyeh, Tabriz historic bazaar complex, Takht-e Soleiman, Tchogha Zanbil and the Persian garden are some of the Iranian historical heritage sites that have been inscribed on UNESCO’s World Heritage List so far. World Heritage Site is a title given to locations which have “outstanding universal value” to all of humanity, according to UNESCO’s description.